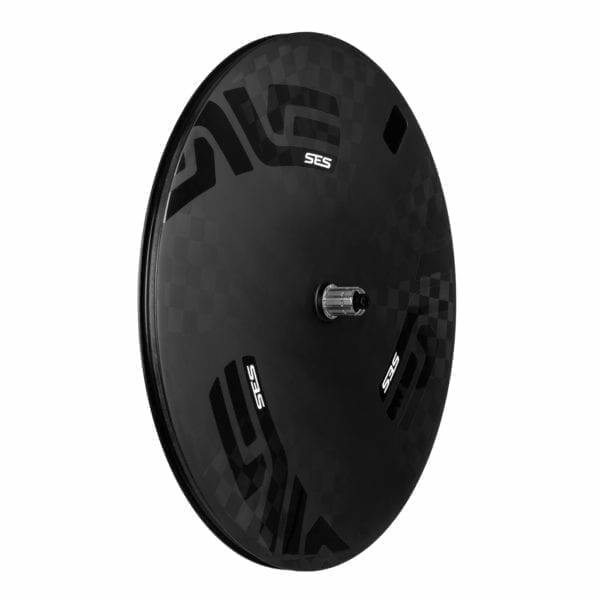 The ENVE Disc Wheel is outright the fastest rear wheel. Designed over a period of 5 years with full consideration for not just aerodynamics, but rolling resistance, braking and ride quality. Available as a tubeless-ready clincher wheel for rim-brake and disc-brake bikes. 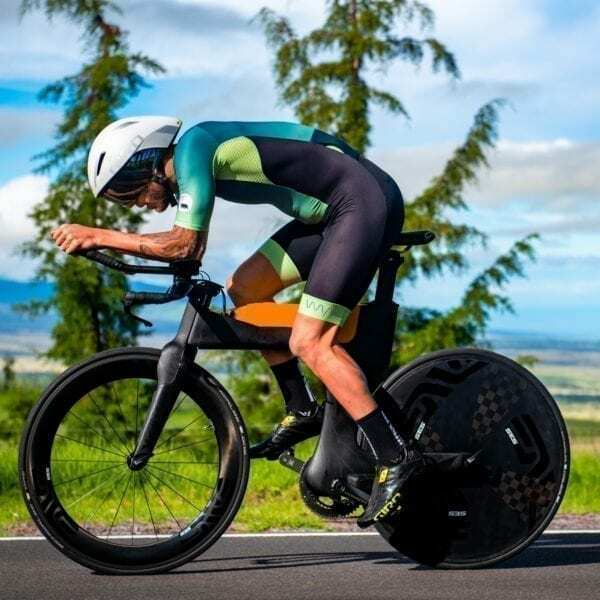 The ENVE Disc Wheel has been specifically designed to be used by professionals and the fastest amateur athletes, on courses where average speeds exceed 27mph. 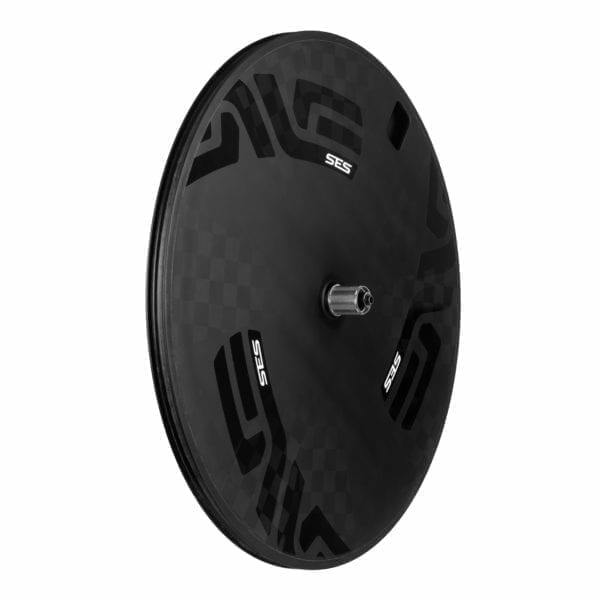 On faster courses, the ENVE Disc Wheel delivers a measurable advantage over the 7.8 Wheelset. It really is the fastest and most efficient way to get from T1 to T2. Riders looking for a matching front wheel, or greater performance at slower speeds on more rolling terrain should consider the ENVE 7.8 Wheelset. *List price for rim-brake model. Use the Contact page to discuss your TT or Triathlon wheelset. ENVE rims are built by hand in Ogden, Utah, USA. At their new state-of-the-art facility ENVE can carry out design, manufacturing, and testing. Every stage of the product life cycle can be controlled with unmatched precision, allowing ENVE engineers to produce the strongest, lightest and most aero rims available in the world. In their own words: “We won’t ever compromise materials, processes, or performance to hit a price point. There’s no lower tier. You’re not buying a brand name or an image, you’re buying engineered excellence. 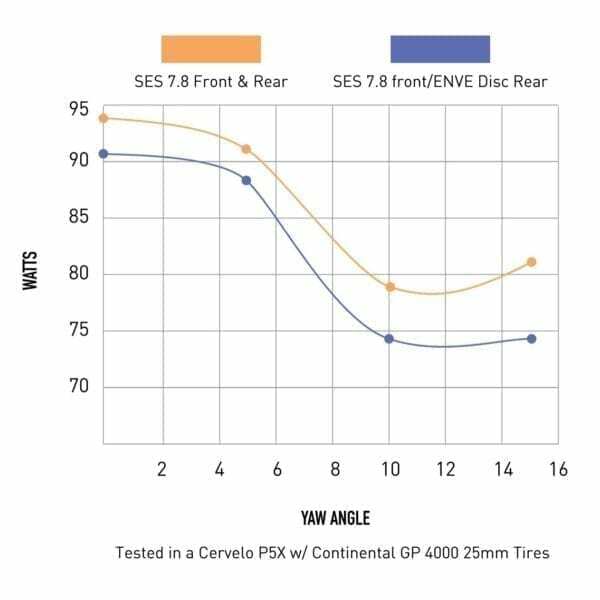 If it says ENVE, it’s because it’s the very best it can be.” The ENVE Disc’s sidewalls are constructed using spread tow carbon fibre technology. Spread tow carbon fibre fabrics deliver a more even fibre distribution and filament straightness making it possible to achieve a thinner laminate that maximizes weight savings without compromising strength and durability. 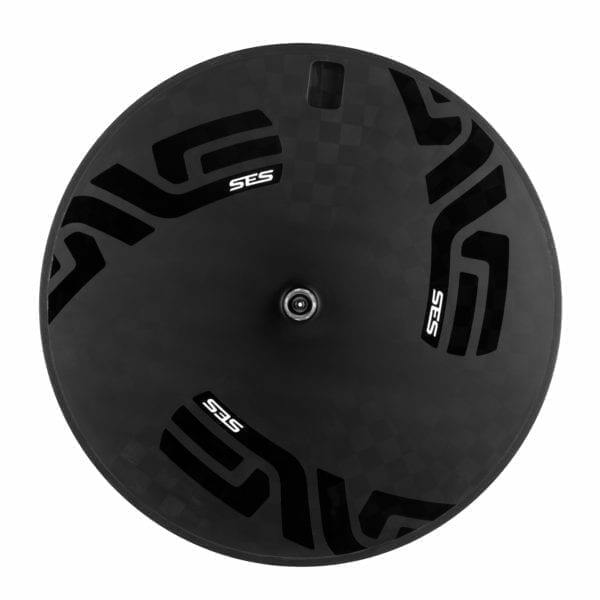 The SES Disc uses spread tow fibres moulded and subsequently bonded to a machined PMI foam core, ensuring best in class durability, weight savings, and stiffness. PMI (Polymethacrylimide) foam is an advanced closed cell foam that delivers all the benefits of more traditional honeycomb type cores, but features superior impact resistance and more importantly delivers best in class sheer strength amongst other core material candidates. 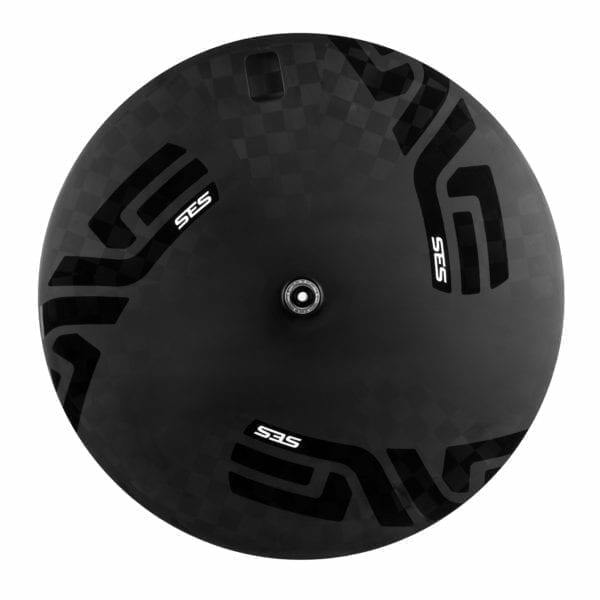 The ENVE Disc is moulded in one-piece. Moulding the wheel in one-piece eliminates potential delamination or failure at a bonded joint. The one piece moulded design also saves weight by eliminating the need to glue the wheel together or over-wrap bond joints in a secondary co-moulding process. The ENVE SES Disc’s one-piece construction allows for a wheel that while lightweight, is also strong. Carbon fibre is maximized by running long uninterrupted fibres throughout the wheel. By adjusting the fibre angles of the disc wheel’s laminate, ENVE have tuned the ride quality of the wheel to achieve a desired balance of stiffness and comfort. The finishing touch is a generous valve window that is moulded, not cut, making this disc as easy to live with as it is rewarding to ride. ENVE 3 Day Promise: for when you need to go fast, fast. If an ENVE wheelset is listed as In Stock on the website, I have a build kit ready to be handbuilt for you with DT 240s hubs and custom decals. They will be built to the highest tolerance and delivered to you within 3 working days from payment. ENVE Disc wheels are supplied with brake pads, a pump attachment and blanking decals for the valve window. Matching front wheels are supplied with rim tape/tubeless valve kits, valve extenders and brake pads. Full wheel care instructions are included with a pot of freehub body grease. Please contact me directly for quotations and build time estimates if you need a matching 7.8 front wheel built on a variety of hubs. 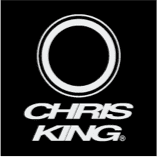 Chris King R45, ENVE Alloy, or DT Swiss 350/180 are all available to tailor the matching front wheel to your requirements. Book a consultation using the Rider Profile Form on the Contact page or call 01403 333 211.